This week I am wrapping up my #FailForwardFebruary series. February is the month where the most goals made at the beginning of the year fail. 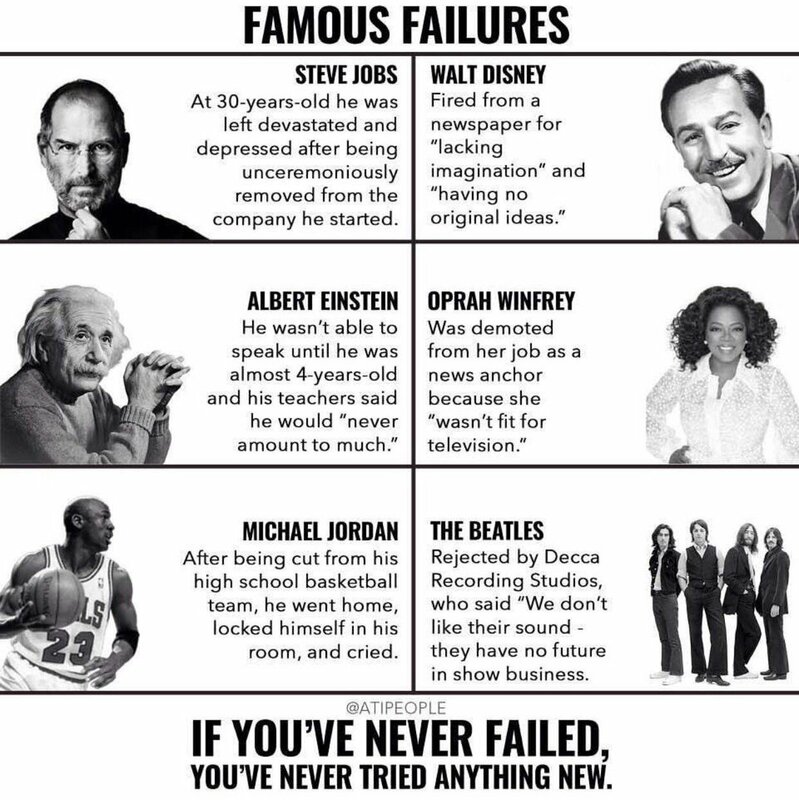 While failure can be disappointing it doesn’t have to be that way. Through daily inspirational posts I attempted to change the conversation about failure. I want people to see failure as a critical step towards success. Every failure is one step closer to success … I think of it it as failing forward! That last line has really resonated with me for the past year-and-a-half as I have been changing my life and trying new things. It has stuck with me throughout #FailForwardFebruary. And I hope that it is a way that I and other leaders can continue to view the world. Yes, you might fail, but you might not. You might succeed beyond your wildest dreams. Even if you do fail you will be failing forward and you will be proud of yourself! Every great achievement starts with a decision to try. The decision to try is something that has been very important to me over the past 20 months of my life. I have decided to try a lot of things and have a lot of achievements I am proud of as I worked to change from a life of obesity and self-doubt to a life of fitness and self confidence. I know I say it a lot, but I finished a half marathon just 16 months after I was 325 pounds! I discovered that I have superpowers I didn’t know existed. I know I can accomplish bigger things than I ever thought possible. I just have to set a goal and take that first step. 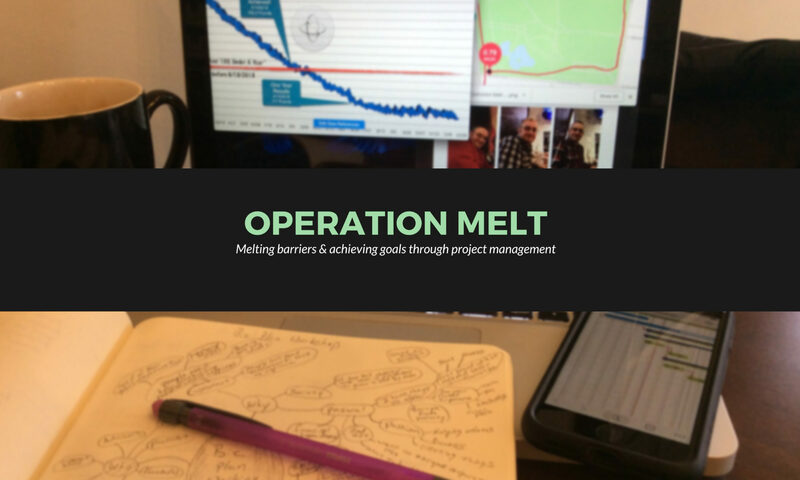 Then I have to use project management to stay the course. This is why I have decided to take another big step. In just a few weeks I am going to release my first book. 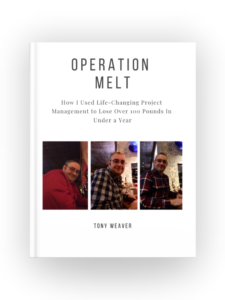 This book shares the story of how I used project management to lose over 100 pounds in under a year and the lessons I learned along the way. Will this book be a success and will tons of people buy it? Maybe. Will it fail and sell zero copies. Maybe. But, you know what, I took the risk and I tried. Not matter the result I know that I did it. So I am already successful! Call to Action: that dream that’s inside you right now… that thing you wish you could do.. Try it! Do it! Take the risk! Show others that you have the courage to chase your dreams despite the risk of failure. And, if you do fail, just remember that you are failing forward! Warning: we are in the heart of college basketball season and there is a big sports analogy coming later. My apologies in advance! Recently I was listening to an episode of the Pick the Brain podcast featuring a commencement address by Abby Wambach. Abby is a USA soccer player and has multiple Olympic gold medals. The theme of her speech was the four rules I’ve used to unite her pack and lead them to gold. During this speech she told the following story about her fourth rule: demand the ball. Abby was playing a small-sided scrimmage (5 against 5) as an 18 year old against professional athlete Michelle Akers. For the first three quarters of the game, Michelle was taking it easy on the kids, coaching them, teaching them about spacing, timing and the tactics of the game. But by the fourth quarter, she realized that because of all of this coaching, her team was losing by three goals. In that moment, a light switched on inside of her. She ran back to the goalkeeper, stood one yard away from her and screamed: Give. Me. The. Effing. Ball. The goalkeeper gave her the effing ball. And she took that ball and she dribbled through our entire effing team, and she scored. Now this game was winners keepers, so if you scored you got the ball back. So, as soon as Michelle scored, she ran back to her goalie, stood a yard away from her and screamed: Give. Me. The. Ball. The keeper did. And again she dribbled though us and scored. And then she did it again. She took her team to victory. I thought this was a powerful leadership allegory in a slightly different but related way. There have been times as a leader when I have sat back and waited for things to come to me. I have waited for direction or guidance or sat in my office and waited for people to ask me questions instead of being proactive. This just doesn’t work for a strong leader. A strong leader operates more like a point guard in basketball – the leader on the floor. Good point guards run to the ball, they read the play and almost all plays involve the ball getting into that player’s hands. He or she calls for the ball and wants the ball in her hands. Good point guards don’t just wait for a pass, they engineer the play and make good things happen. Leaders do the same, they call for the ball, they run to the ball and they try to get into the center of the action. A good leader is always talking to people, reading the environment, monitoring the data and looking for opportunities to make things better. By getting their hands on the ball, good leaders make big plays happen that weren’t there before. On a related note, good leaders call for the ball but they don’t always shoot it every time the ball gets in their hands. Great leaders choose their battles and don’t take the ill-advised shot. Sometimes it is worth a couple more passes to keep from going into a situation with guns blazing before you have read the situation. Call to Action: step into the middle of the play and call for the ball. Don’t be satisfied with the easy way of waiting for direction, guidance and the play to come to you. Yes it is more comfortable to let the play come to you (trust me, I have done it a lot!) but greatness is just outside that comfort zone. Throughout the month of February I have been sharing inspirational quotes and thoughts about the topic of failure. Failure is a difficult concept to see inspirationally but it is an important topic. It is often misunderstood. Let’s start with a little secret: leaders fail. In our social media fueled world it is easy to get caught up in the highlight reels of peoples lives. But that just isn’t accurate. People have setbacks, they have bad days and they have failures just like they have successes. Failure is a fact of life even if people aren’t bragging about it on Instagram. Leaders look at failure a bit differently. Yes, they hate to fail. Nobody likes to fail. So don’t get me wrong that failure feels good because it doesn’t. That said great leaders know that failure is a critical part of success. I like these two quotes because they demonstrate a crucial fact about failure. Every failure is a step closer to success. You learn what doesn’t work. You have more information available to plan your next steps. The act of failing today makes your probability of success greater tomorrow. It is called failing forward! I have failed many times. But every one of those failures equipped me to try a new path and my end result was better than it would have been otherwise. The beneficial aspect of failure leading to bigger successes is why I have dubbed this month Fail Forward February. Call to Action: do your best to succeed every day. But when, not if, you fail spend some time reflecting on the lessons in that failure. Take those lessons and apply them to the next iteration of your plan! I wasn’t sure what I wanted to write about this week but I had an experience that made this topic jump out at me. I will tell my story and then talk about the leadership lesson. I woke up in the morning and looked at the temperature and our Columbus winter warm snap was continuing — it was almost 50 degrees at 5:30. It would be the perfect morning to get suited up and go for an outdoor run. Unfortunately I looked outside and it was raining pretty steadily and fog was building so thick that I couldn’t see a full block ahead of me. I decided not to let the less-than-perfect weather hold me back. I have goals to achieve (less than 90 days until my next half marathon) and I was going to go out for my run. After making the hard choice not to accept the easy path I ended up having a phenomenal run. 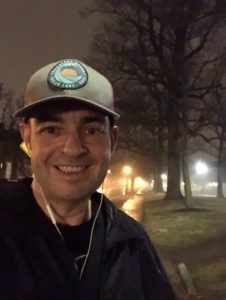 It felt great, I kept a steady pace and enjoyed the sights along the way – I love fog! It also led me to have an epiphany about leadership…. Leaders have a similar choice — they can spend a lifetime waiting for conditions to be perfect or just start moving. The best leaders have a goal, have a basic plan and just start moving. As they progress towards their goal they refine the plan as needed. In project management we call this progressive elaboration and rolling wave planning. For leaders to accomplish big goals they have to commit and go – they focus on speed before perfection. 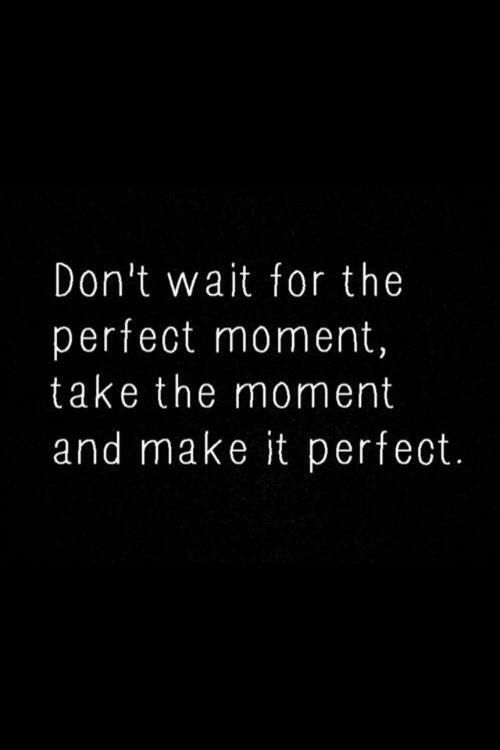 Call to Action:stop waiting for perfection and push yourself and your team to take a step forward. It might be scary to start moving without knowing everything but it doesn’t get any less scary as you watch the days fly by without progress. 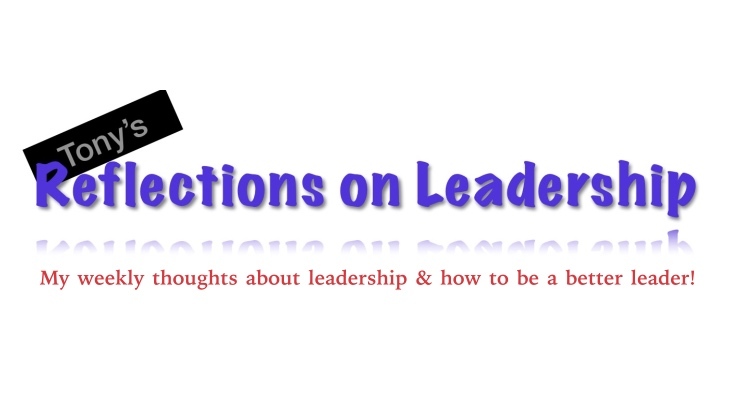 Thank you for reading and please feel free to share your perspective on this topic, my Reflections on Leadership series or anything else via a comment on this post, a share on social media or message me directly. I am publishing this week’s Reflections on Leadership a day late. I am doing this because yesterday was a big day and I had a special blog post to share. But I still wanted to share part 3 of my series about how not to be a jerk. Just as a reminder this series is based on my new favorite (and made up) quote. Let’s start by pausing to recap what I have shared so far. In the first post I talked about how leaders can avoid being a jerk by treating others as equals. Last week I talked about how leaders need to be approachable so they don’t discourage people from interacting with them. In this week’s final edition I am going to talk about the things you can do as a leader to best be of service to others. When you are serving others you definitely can’t be a jerk! Think. The Focus 3 Team who created the R Factor talk a lot about Above the Line behavior. 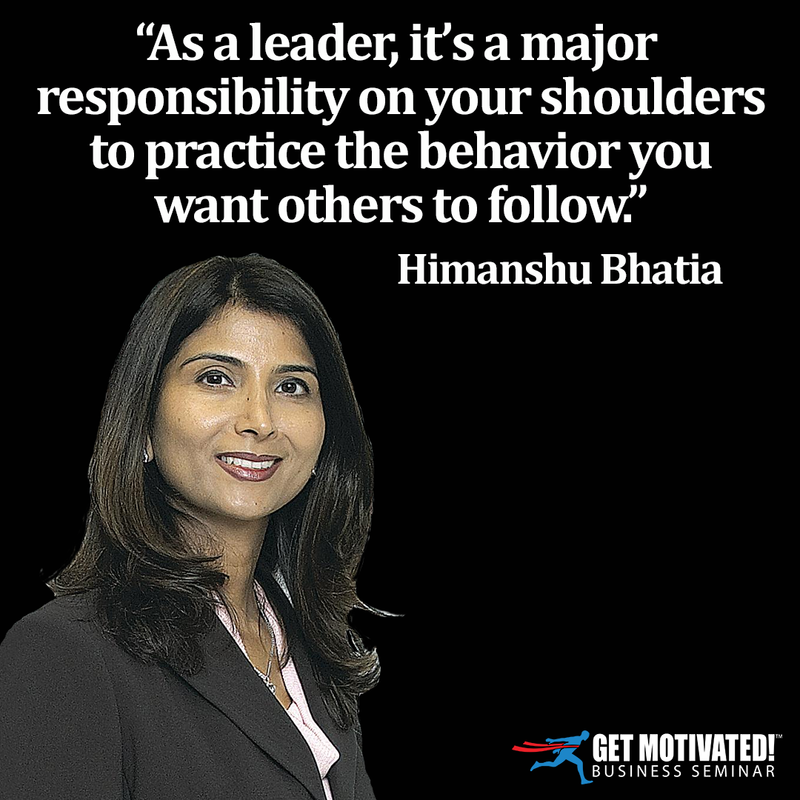 This behavior is based on deliberate leadership behavior versus operating on autopilot which often leads to B-C-D behaviors (blame, complain, defend). When leaders pause to think “what does this situation require of me” versus just acting on impulse the results are almost always better. If you stop to think about the situation at hand and react accordingly it is much more difficult to be a jerk. Be honest with yourself and others. Leaders are only as good as their word. When a leader lies to people they are absolutely a jerk. If you are honest with those who you are serving you are taking an important first step to not being a jerk. Don’t forget that being honest with others starts with being honest with yourself first. Know your strengths, know your weaknesses and be honest about both! Ask for help. When you are honest with yourself you know where you could use a hand to offset your weaknesses to get the best results. Use this knowledge and ask for help. When you approach somebody and ask for help you are showing them 2 important things: you trust them enough to be vulnerable and they matter to you. Asking for help not only gets more done but it also goes a long way to building stronger relationships and avoiding being seen as a jerk who goes it alone. Focus on your own growth, development and humility. Invest time and energy in your own growth, particularly your growth as a leader, pays huge dividends with your team and helps you address your areas of opportunity. Plus showing others that you care enough and have enough humility to work on your own development models the behavior that you are looking for in them. Again it is hard to be a jerk when you are openly trying to improve your skills to be a better leader. Teach and help others grow. As you are working to develop your own skills you should also be helping your team do the same. By teaching others, mentoring and finding other development opportunities you are showing your team that you are investing in them. When is the last time you thought somebody investing in you was a jerk? Say kind words and tell people what they are great at. People need positive reinforcement. People need affirmation to know what they are good at. People want to be treated as though they are special … because they are. Take a minute to say a kind word to people. When you see somebody do something they are good at then tell them. Life is too short not to be nice and complementary… but make sure you are being honest and not just blowing smoke. Show your team that they are important to you, you would be nowhere without them. I had a boss once who got a big promotion in the company. As he was sharing the good news with us he thanked us each individually and actually shed a few tears. He explained that it was us who made the promotion possible and that he owed his success to us. This is the case for every leader. Your success is not your success alone and you owe it to the people who are getting the results on your behalf. Never forget to show your team that they are important, remind them that you owe your success to them and that you aren’t a jerk who believes you could be successful without them. Call to Action: first off, thank you so much for reading my How Not to be a Jerk series. I appreciate you spending some of your precious time reading my thoughts on how to be a better leader. Please try some of the tactics I have shared in this 3-part series and try to make it easier to be a good leader.